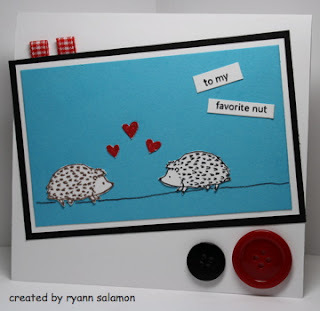 This week's EtsyInspired artist is Zozo Cards. This shop is beyond adorable and whimsical! I love the illustrations, they are so cute! The amount of super cute items in her shop grows everyday. I really want to buy the whole shop, it's just that darling. 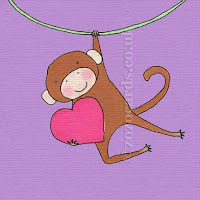 Zoe offers a wonderful variety of items in her shop like cards, ACEOs, prints, 3D items, keychains, tote bags, magnets, and much more! I really like her sweet and whimsical animal art! I think it's perfect for a child's room or someone who is just a kid at heart like myself. 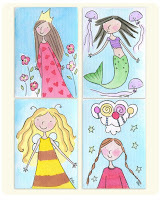 Up for our amazing giveaway this week is a collection of four (4) awesome original ACEOs from the Zozo cards shop. These are so cute! I wish I could win! All you have to do to be entered to win is choose any item from the Zozo Cards shop to use as inspiration for any creation you would like to make. What your creation is doesn't matter to me (cake, card, jewelry, etc...) all that matters is that you seek your inspiration from the shop. Link your creation right here on this post by next Friday January 30 by noon Pacific time and you will be entered in the random drawing to win. Now, go be EtsyInspired! 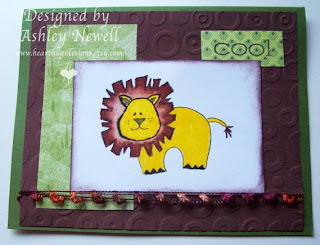 Here is my card for this week inspired by the adorable lion in the shop. Brady is in love with lions lately so I had to make this card. 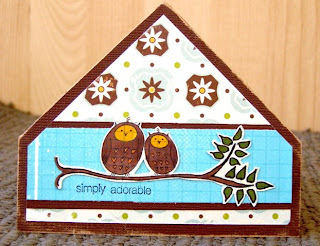 This is also my card to apply for the Whimsy Guest Designer spot. Details can be found HERE. Joy decided to treat us to two cards this week. I think it's because she's the one who picked this shop. :) I am loving the colors on her scientist card and how cute is that little doggie? Just adorable! This is Lee's super sweet treat bag. I love those cute little Koalas! 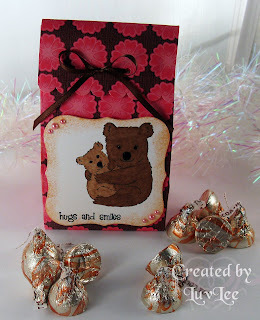 This is such an awesome bag for Valentine's or any special gift giving you might have to do! I love it! The amazing Tanis was drawn in by the owls in the shop, that doesn't surprise me! She made this gorgeous corner bookmark. 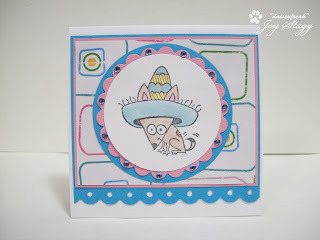 I love the papers she used and the amazing colors. Tanis's eye for color is something I'd love to have! How cute is Tiff's birdie card? I love those sweet stacked birds and the colors are just fantastic! 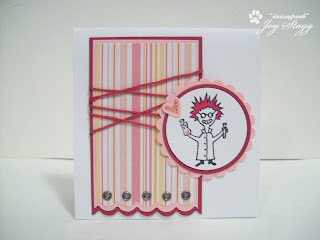 The designer paper looks perfect with this card and the paper clip embellishment with the ribbon are divine. This week, we are saying goodbye to my dear Ryann. I am SO sad about it but our dear Ryann has become so busy lately. I love your card Ryann, I love all the cards you've made. Thank you so much for helping me start out my challenge my sweet friend! Hope you will play along with us if you find some time! Hugs to you! A couple of side notes, first Guest Designer for this month Christine had a family emergency and couldn't participate this week. Please keep her and her family in your thoughts or prayers. Also, don't forget about the DT call! I will have Christine in my thoughts! Wonderful inspiration this week! I already have mine up on my blog! Thanks ashley!! Oh my! Everyone's cards are just stunning today!!!! Your lion card is very cute! I like the coloring on the mane! Everyone's cards are really cute!! Love them! How am I ever supposed to pick one of those cute images to be inspired by??? I love them all and have so many ideas!!! eek!!! lol I guess I will have to decide eventually! Great store again this week! I love that lion card!!! How cute! Good job! Here's mine - will post full details and link to inspiration piece tomorrow on blog! here is my card Ashley, sorry it is last minute! can't wait to hear what you are having!